Q. How can I reduce my water bills? A1.One solution to lower your bills is to buy a new and more efficient water heater. Tankless water heaters are excellent for getting hot water right when you need it, instead of waiting for a whole tank to heat up. They are also better for the environment! A2.Getting your boiler serviced can also help ensure that your water heater is running properly and not costing you more than it should. Q. How do I unblock a clogged toilet? A. We do not recommend plunging as there is a risk of leakage from breaking the seal on the drain or breaking the seal to the toilet. Q. What is a shutoff valve? A. Shutoff valves are normally placed either beneath or beside a toilet and sink. They are used for shutting off the water supply to fixtures. Shutoff valves should be turned off in an emergency if a leak is coming from a specific sink or toilet. Q. How do I fix a leaky valve (i.e. shut off valves, boiler drains, etc.)? A. On nearly every valve there is a packing nut (behind the handle). 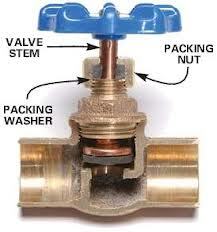 If you open and close the valve often sometimes the packing nut may become loose, causing the leak. Tightening the packing nut will stop the dripping in most cases. Q. How do I fix a wobbly toilet? A. The seal is probably broken and this will cause the toilet to leak. The toilet needs to be shimmed because of poor installation. Q. Why do my drains smell terrible and how can I prevent this? A. Drains are designed to prevent smells from coming back inside a building, if you suddenly find yourself turning up your nose whenever you enter the bathroom for example, there’s a problem. Normally though, it’s almost always an easy one to fix. The large majority of bad smelling drains are the result of a dried out trap. Every drain has a U-shaped trap designed to hold a small amount of water at all times. This water blocks sewer gasses from travelling back up your plumbing and into your building. When the trap dries out, there is no barrier and you may begin to notice a smell when you enter the room. The easy solution is to pour water down drains in your building that aren’t used often. If this doesn’t work, you’ll probably need to call a professional who can thoroughly inspect your system and identify the problem. Q. Why is my water pressure so low? A. A sudden shift in water pressure can be the result of many problems, but the easiest to solve are those related to the water line or shutoff valve. Check your incoming lines and the valve to make sure there isn’t a kink and the valve is open all the way. Another problem you may face is a mineral deposit in old pipes. This is common in homes that haven’t had their pipes replaced in three or more decades, and while cleaning is an option, you should also think about the possibility of getting them replaced. Q. How do I keep my pipes from freezing? A. You will find that frozen pipes only occur when the temperature around the pipes gets below freezing for a long period of time. 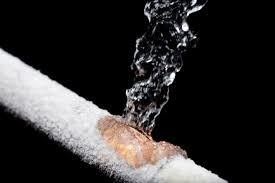 To prevent this from happening you must make sure your pipes are well insulated. If your water lines are inside, this shouldn’t be a problem. However, outdoor or garage water lines may need to be wrapped in extra insulation. Q. Why is my hot water not working? A. Normally, tank water heaters are good for 10-15 years or sometimes longer, older boilers in particular will need a professional inspection to have a look at the situation and help you with your options. Replacement the boiler is the easiest solution in most cases, especially given the energy efficiency of new, modern systems. However, in some a broken heating element or sensor could be the problem. Try to turn up the temperature setting on your water heater and see if it produces hotter water. If not, it’s definitely time to talk to a professional plumber. Q. What is the white build up around my taps and shower head? A.A white build up around your shower head and taps is probably mineral deposits that settle out from your water and accumulate over time. 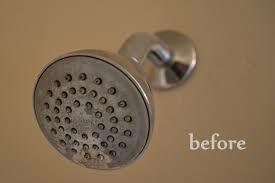 These can be cleaned easily by soaking the fixture in vinegar overnight and then thoroughly scrubbing it. This will cure the problem but not stop the problem from recurring. If your problem is severe and you would like to avoid this in the future, you may want to consider having a water softener installed this will take those minerals out of your water before it reaches your taps. Q. What is a vent’s contribution to the plumbing system and what does it do? A. Vents are normally visible on all roofs. If hazardous gases remain trapped in your drains they could permeate your house. Liquid must be followed by air, in order for it to go down a pipe. Vents are piped in to direct foul air out of your home when drain action displaces air from the traps. Q. What is the cause of the rusty, brown colour in hot water? A1. Rust entering the water lines can be caused by different chemicals. 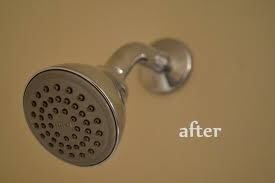 A change in water pressure leads to rust being carried to various fixtures and appliances. A2. The water may be a darker shade because of the dirt that has come into the water from a broken pipe. A3. Sediments coming out of the water heater are transferred to the fixtures. A4. The metal jacket may have rusted because of damage to the glass lining in the water heater. Q. What are the differences between CPVC and PVC plastic piping? A. CPVC is usable for both cold and hot water lines, but PVC is only usable for cold water. The most common type of pipe used for drains is PVC. Q. What are the benefits of plastic supply lines? A. Plastic supply lines are cheaper to install, they are more flexible, non-toxic, and won’t corrode. Q. What should I do if the kitchen drain becomes clogged? A. For starters, use a plunger. Secondly, apply a liquid drain cleaner by following the instructions that come with it(use gloves). The trap may be the source of the clog; you can take it out to check. If this is not the case, drain augers extend to various lengths, allowing you to reach a clogged area. Q. Why should we put traps below the sinks? A. To keep your kitchen and bathroom free from foul odours, traps prevent sewer gases from permeating out from the drain. Q. What does a plumber’s snake/worm do? A. It removes blockages; a plumber’s snake/worm is inserted into the drain and pushed through the pipes its mechanical rotations clear the blockage and then the pipe is flushed through. If there is a problem with the pipe itself, i.e. the pipe is kinked we can put a C.C.T.V. camera to identify where the problem is.